I don’t know about you, but when I read a non-fiction book, I always check out the references and recommended reading section. I found this one listed in another book and am so glad I did! 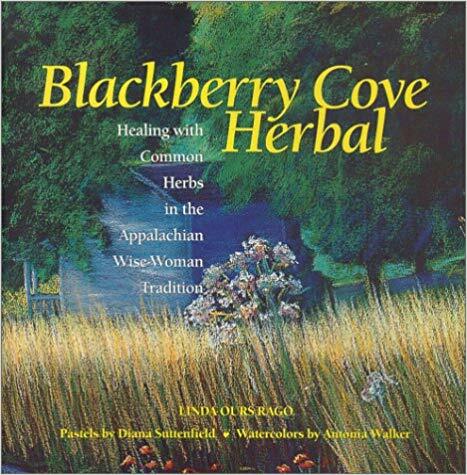 Ms. Rago takes us through a year of happenings (herbal and otherwise) at a cabin in the West Virginia mountains. She grew up there, as did her parents, grandparents, great-grandparents…I think she has the “native” part down. Her writing is extremely evocative – you can easily picture yourself walking alongside her in the hills or sitting on the cabin’s porch and admiring the view while drinking a cup of herbal tea. Along with stories, she tells you how her grandmother and other elders used the herbs she harvests in those hills. Interspersed with current-day happenings and recipes (receipts being the word used there) are charms spoken for healing purposes. A little magic woven in never hurts! Granted, what she finds in the hills and hollers of West Virginia is somewhat different than what grows in the southern tail of the Appalachians, but I still found “folk” uses of plants I use that I’d not heard of before and they’ve been added to my notes. 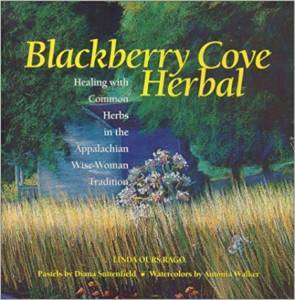 I think this book is out of print (at least, I couldn’t find it new) but if you’re interested in herbs, especially those used in the Appalachian Mountains, this is a must-have for your shelf. This entry was posted in herbs, Musings and tagged Blackberry Cove Herbal on March 28, 2019 by DJ.